If you want to be more productive at work, make every moment at home count. This is especially important in the morning, just before you hop in your car, catch the train, or ride your bike to the office. 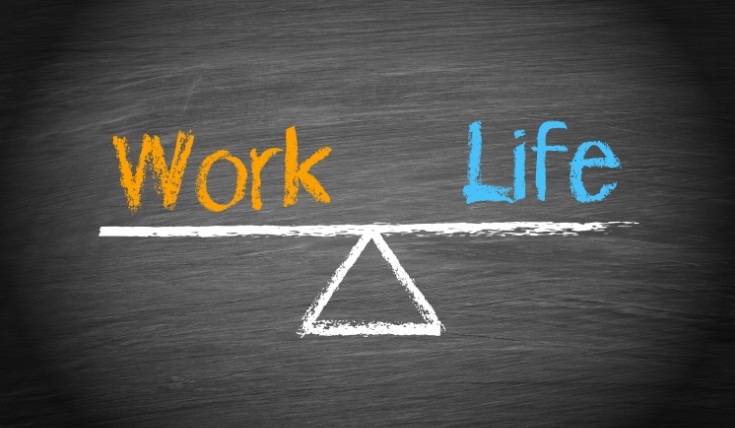 Many entrepreneurs talk about work-life balance, but very few make it a habit. Here are five ways to live your best life – and set yourself up for the perfect workday. Sleep.If you work long hours, it can be difficult to squeeze everything you need to do outside of work into a few hours in the evening. There’s dinner, house chores, errands and more. Often, the lowest priority is getting to bed at a reasonable time. Those who are sleep deprived will experience greater impatience, lower productivity, lapses in memory and difficulty concentrating. If you don’t get enough sleep, throughout the day you may experience mood swings and frequent sleepiness. Make sleep a priority and develop a nightly ritual. Aim to go to bed around the same time each night. To help your brain prepare for sleep, dim the lights in your home, make your bedroom cooler, and avoid bright screens from your TV, computer or cell phone. You’ll wake up refreshed and enthusiastic with a better sense of overall wellbeing. Invest in your health.The benefits of regular exercise can’t be stressed enough. People who exercise a few days a week have stronger immune systems and are less likely to get sick — which means you’ll miss fewer days of work due to the “bug” going around. People who exercise regularly also exhibit more energy, more equipped to manage stress, and are more focused at work and have a more positive attitude overall. Rest assured, you don’t have to become an Olympian to benefit from exercise. Find a form of exercise that fits your schedule and lifestyle. I enjoy yoga because it helps increase my flexibility, strength and balance. When I don’t have time to go to the gym, I take a walk after dinner to escape the stress of the day. Let go of fear.No other emotion is as potent as the fear of failure — especially for entrepreneurs. Wave after wave of anxiety can quickly become too much to handle. When you face a new challenge, take a deep breath and relax your mind. Don’t become overwhelmed with thoughts of everything that could possibly go wrong. Instead, approach the challenge head-on. If you can’t seem to get over a particular fear, take out a piece of paper and write down the absolute worst-case scenario. If you put your thoughts on paper, you’ll relieve your mind of the worry. More often than not your worst fear is a lot less scary when you actually articulate it. Cultivate gratitude.A positive outlook on life starts with a feeling of gratitude. Take a moment each day to reflect on those things for which you are thankful. What brings you joy? It could be your business, your friends, your health or your relationships. You could also be grateful for the small luxuries that are often taken for granted: a refrigerator full of food, a virtually unlimited supply of clean water, even a comfortable bed in which to sleep at night. At work, avoid the temptation to compare yourself to others. Instead, focus on your self-improvement. Jealousy and frustration can surface when you compare someone else’s highlight reel to your behind-the-scenes footage. If you want to live a happy life, don’t measure your success as an individual by the traditional gauge of wealth and status. When something goes wrong, review your “gratitude list” to remind yourself of everything that has already gone right. Focus on the best parts of your life and let go of the small stuff. Exhibit generosity.Each morning, set out to do one nice thing for someone else. When you give freely, you focus on what you can do for others and you invite abundance into your life. Though generosity can occasionally be shown through physical gifts, grandiose deeds and monetary donations, the best gifts are often simple gestures. Smile at a stranger, give a friend a call, or publicly recognize an employee for their dedication and hard work. Your authenticity and mindfulness will be contagious. Soon you’ll begin to reap what you sow and good things will come your way.